Apple released a new beta version of iOS 12.2 yesterday. While the final version isn’t available just yet, here’s what you should expect: new Animojis and a fake 5G logo if you’re an AT&T customer. 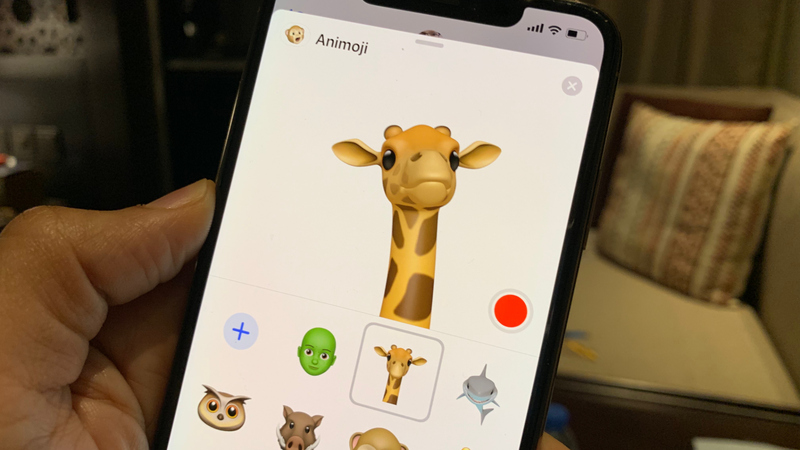 If you have an iPhone X, XS, XS Max or XR, you’ll see new animals in the Animoji collection. As 9to5mac spotted, you will be able to record a video message and replace your head with a giraffe, an owl, a shark or a warthog. These Animojis will also work during FaceTime calls. More interestingly, Apple succumbed to AT&T’s marketing plot to rename 4G to 5G. MacRumors noticed that some AT&T users now have a “5G E” icon in the top-right corner when they upgrade to the beta version of iOS 12.2. Some Android phones already show a 5G E icon after an AT&T update. But don’t get fooled, this isn’t 5G — this icon replaces the LTE icon. AT&T has basically rebranded LTE with carrier aggregation as 5G Evolution. But it still runs on the same network. The same thing happened in the U.S. during the transition from 3G to 4G. AT&T decided to rebrand its 3G HSPA+ network to 4G. It’s the reason why many carriers talk about LTE instead of 4G. AT&T confused everyone back then, and the company is about to do the same again. It’s too bad Apple is helping AT&T with this iOS update.